lovely! the owl has Button eyes! your Purple Lady sketch makes me grin! Boo-whooo! 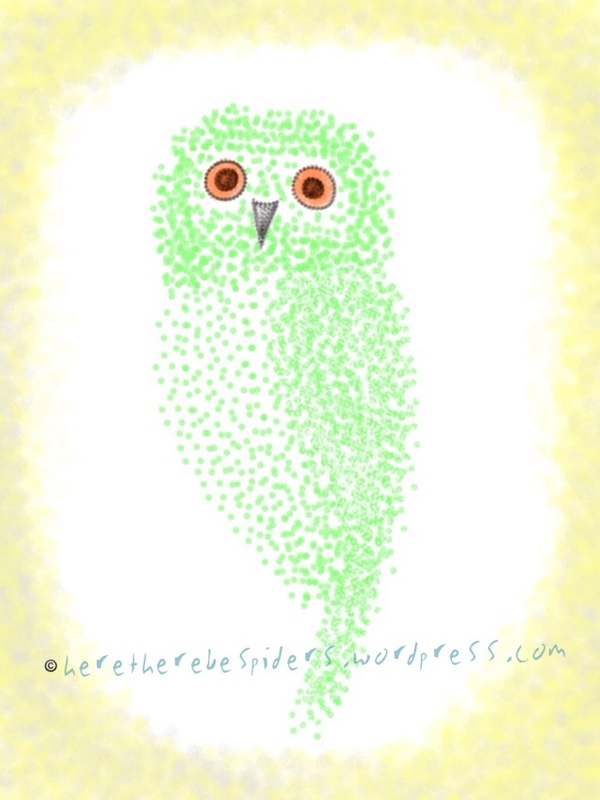 I actually didn’t even realise I had made a spotted owl out of spots until I had to write something for the post. Doh! Thanks – I’m having fun learning how simple patterns get the idea across. Really nice! The eyes really stand out! Thank you, Dianda! I used the colours Socks said she wanted for her nursery.